The All-Class Reunion is coming up on Saturday, April 13 at Elgin High School! Mingle with alumni and teachers in the Commons and Field House. Your graduation year will be displayed so you can connect with old friends and refreshments will be available!refreshments. 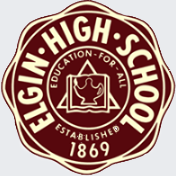 Use the link below to go to the Facebook page of the Elgin High School Anniversary planning committee for further details and to RSVP.